The 2011 British Columbia rodeo season was officially launched Friday, April 15th with the 21st Annual Williams Lake Indoor Rodeo. 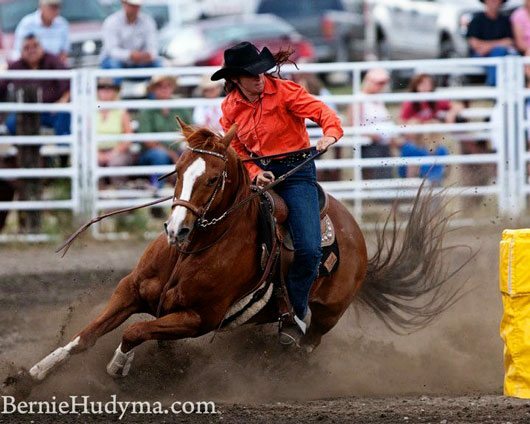 Held at the Cariboo Memorial Complex in Williams Lake, the Williams Lake Indoor is a much anticipated event for barrel racers anxious to get back on the rodeo road and pit their horses against some of the top competitors in BC. This year, 98 Ladies, Junior and Peewee barrel racing contestants braved the cold and snowy weather to warm up their horses for the three performances which kicked off at 6:00 pm on Friday. Coleen Duggan of Cache Creek, BC riding her horse Rainy Weather, won the Ladies Barrels with the fastest time of the weekend, 14.161. Nine-year-old Elly Farmer of Savona, BC is off to a good start with her first place finish in the Peewee Barrels on her horse, Chili, putting in a time of 15.327. 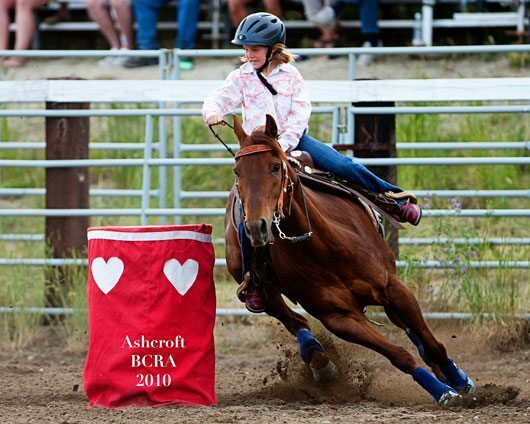 Elly, who has been barrel racing since the age of five, finished off the 2010 Rodeo season with a win at the North Thompson Fall Fair and Rodeo in Barriere, BC and is looking forward to a successful 2011 season. 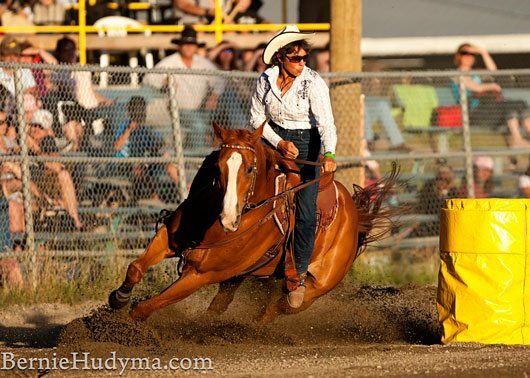 The next stop for the BCRA barrel racing cowgirls is the Princeton Rodeo, May 14th & 15th.